Hosted by Aisha Tyler, Ubisoft’s contribution to this year’s E3 lineup featured 11 different games – some new, a few expansions, and several highly anticipated releases. Unexpectedly, South Park creators Trey Parker and Matt Stone opened the conference with the sequel to The Stick of Truth. Packed full of the usual South Park humor, The Fractured But Whole once again stars the New Kid as the main character. If you enjoy the usual hi-jinks of the South Park crew, you’ll get pretty attached to this. Another pleasant surprise for us was a brand new melee combat experience featuring three distinct warriors: the Samurai, the Viking, and the Knights. What stood out to me in this trailer was its frequent yet impressive transitions to the three separate armies throughout various battles. It puts you right in the thick of combat, where you’ll use several controller commands to block, parry, and strike your way through fights. This is an example of a truly well-crafted battle simulator – instead of commanding the armies, you’ll be cutting your way through enemy ranks with your men. There’s not much to say about this expansion to the racing game The Crew, given the trailer’s short length and brief introduction. The expansion adds a new location – The Summit – for players to race through, taking place at a number of US icons. It’ll be released on the 17th of November this year. Another racing game is getting an expansion this year, and Ubisoft’s Twitch stream viewers released an extremely collective “WTF” towards the end of the trailer. I’m not quite sure how a racing game evolved to include gunslinging kittens riding flaming unicorns, but…at least Ubisoft’s got their creative caps on. In any case, this game comes out July 14th on PC, Xbox One, and PS4. 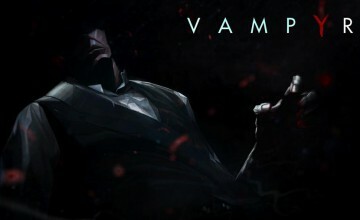 Although the game trailer itself was great, I was actually much more impressed with the gameplay following the trailer. In this highly anticipated title, a disease spread on Black Friday caused a government collapse in the US over the course of five days, throwing the world into a post-apocalyptic environment where survival is everything. 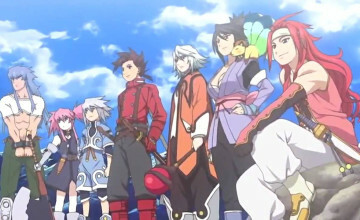 Players have the option to group up or to go it alone, and can betray their teammates at any point. During the DarkZone multiplayer segment, three friends fought their way to the rescue point, only to be betrayed at the end by one of their friends. It was a surprisingly dramatic, tension-building gameplay introduction, showing players just how brutal the game can get. 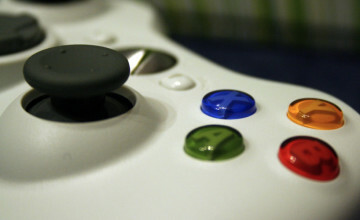 The game will release in early 2016, though no date has currently been set. This space-based city builder has some impressive visuals for a SimCity-esque game. Naturally, the player is God, and must build their city from the ground up using various resources, maintaining the economy, and keeping the citizens happy. While watching the trailer, the movie Interstellar came to mind; and obviously, you’ll be spending equal amounts of time on futuristic Earth and in space. Instead of an actual trailer, Ubisoft brought in pop singer Jason Derulo for a live performance during the game’s announcement. I’m pretty sure you didn’t come here to see a concert, so let’s move on to the game’s updated features. I’m not the biggest fan of dance simulators, but the technology behind Just Dance 2016 is a huge step up from the previous. Instead of being limited to a few people, there is now no limit to the amount of people you can have dancing in your game. You also won’t need a motion capture camera for your console – you can use your smartphone to join the dance, and the game comments upon individual players’ success throughout the duration of the song. Additionally, the game’s release will also include a subscription-based dance-on-demand streaming service called Just Dance 2016 Unlimited, available on PS4, Xbox One and Wii U. Depending on how big your living room is, feel free to cram as many people in there as you want. Just Dance 2016 really wants you to wave ’em like you just don’t care. Featuring actress Angela Basset, this is a nice intro to a Call of Duty-esque first person shooter. Basset’s plays the role of Six, leader of the anti-terrorism unit Rainbow Six – and as her first time as an actor in a video game, she’s done a pretty good job. An alternate game mode called Terrorist Hunt mode will feature far more challenging AI and challenges for players to overcome. Rainbow Six Siege will release October 13, 2015. The game will also come with free copies of Rainbow Six Vegas and Rainbow Six Vegas 2 for Xbox One owners. Our last racing game of the hour features more cartoony graphics and tracks that easily remind me of Mario Kart without the blue shells. For me, once you’ve seen one racing game, you’ve seen ’em all, but it’s clear that Trackmania Turbo is a bit lighter and softer than your usual racing simulator. It’s bright, colorful, and trippy – but nothing beats Rainbow Road. I was surprised that this trailer hadn’t been the first or the last, but we were all excited to see it either way. 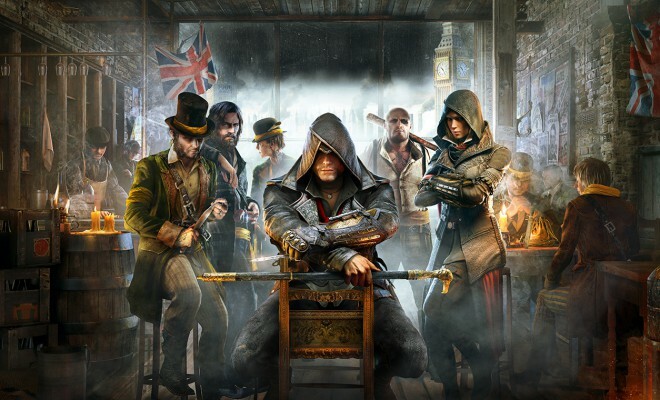 Set during the Industrial Revolution, Jacob Frye’s mission is to free the people of London from the manipulations of a rival gang, through whatever means necessary. The brief dialogue, the carriage chase scene, the suspense, and the music in the trailer had me hanging on to every second – I’d happily call this the conference’s best trailer. It’s everything we waited for and everything we’re used to in an Assassin’s Creed trailer, and it still ended up being unique. This military shooter got a refreshingly creative trailer, and I would argue that it’s better than the Rainbow Six Siege trailer. It’s got brutal scenes, a foreboding voiceover, and a badass final cinematic towards the end. With trailers, there’s only so much you can do with a first person shooter, but they definitely showed their work in this one. Well, guys, it’s your turn. Did Ubisoft get you excited this year? Next Story → EA E3 Press Conference Recap: The Good, The Bad, and the Why?